MicroRNAs (miRNAs) are small RNA molecules that play key regulatory roles in general biological processes and disease pathogenesis. These small RNA molecules interact with their target mRNAs to induce mRNA degradation and/or inhibit the translation of mRNAs into proteins. 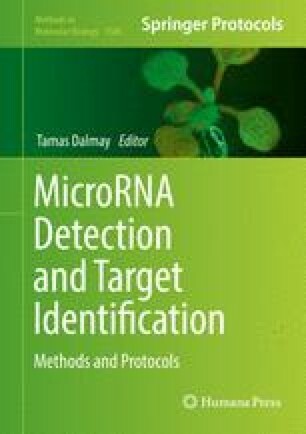 Therefore, identifying miRNA targets is an essential step to fully understand the regulatory effects of miRNAs. Here, we describe a regularized regression approach that integrates the sequence information with the miRNA and mRNA expression profiles for detecting miRNA targets. This method takes into account the full spectrum of gene sequence features of miRNA targets, including the thermodynamic stability, the accessibility energy, and the context features of the target sites,. Given these sequence features for each putative miRNA-mRNA interaction and their expression values, this model is able to quantify the down-regulation effect of each miRNA on its targets while simultaneously estimating the contribution of each sequence feature for predicting functional miRNA-mRNA interactions. This work is supported in part by NIH grant R01 LM010022 and the seed grant from the University of Texas Health Science Center at Houston.